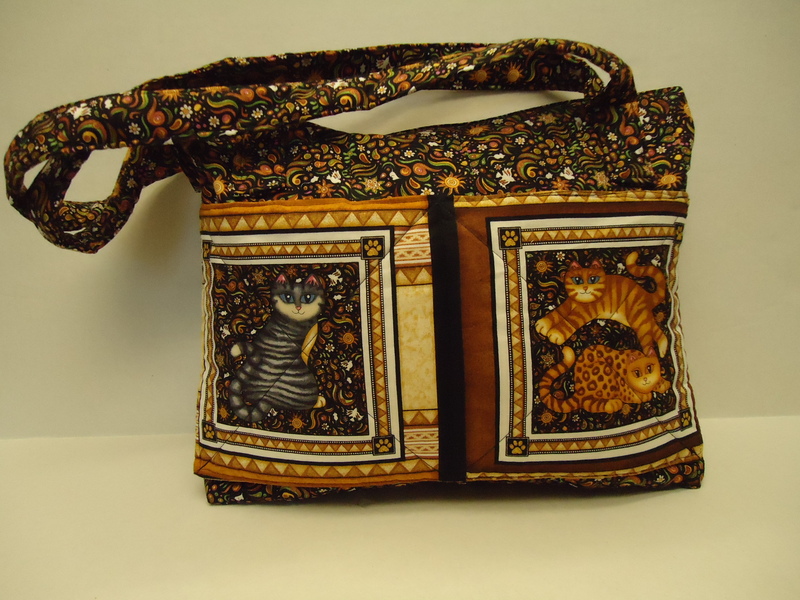 Toby's quilted purses come in two sizes, regular and evening bag. 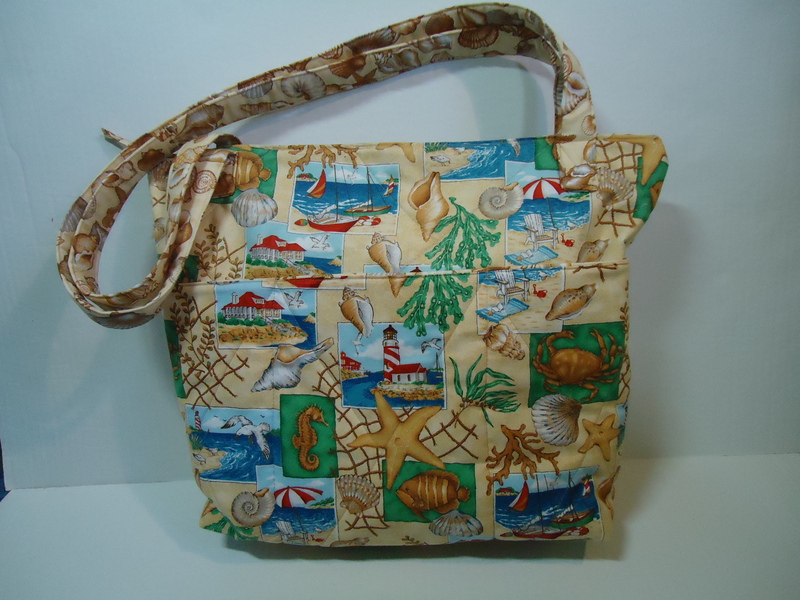 Both the outside and the coordinating lining are 100% cotton. The middle layer is a polyester fleece. 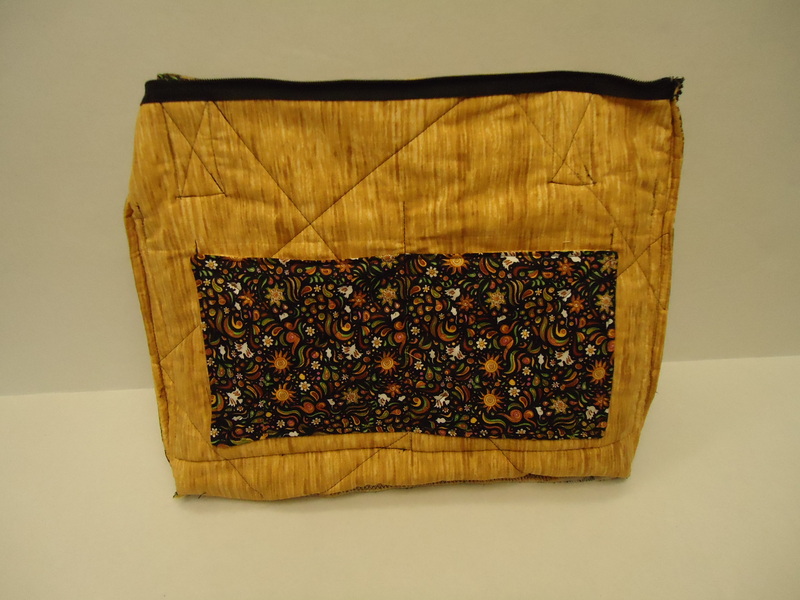 The regular size has between two and four outside pockets and between three and four inside pockets and a 12" zippered top with double straps that measure approximately 13.5" from purse to crown. The evening bag size has one inside pocket and one outside pocket with a 6.5" zippered top and a single corded strap that measures approximately 17" from purse to crown. 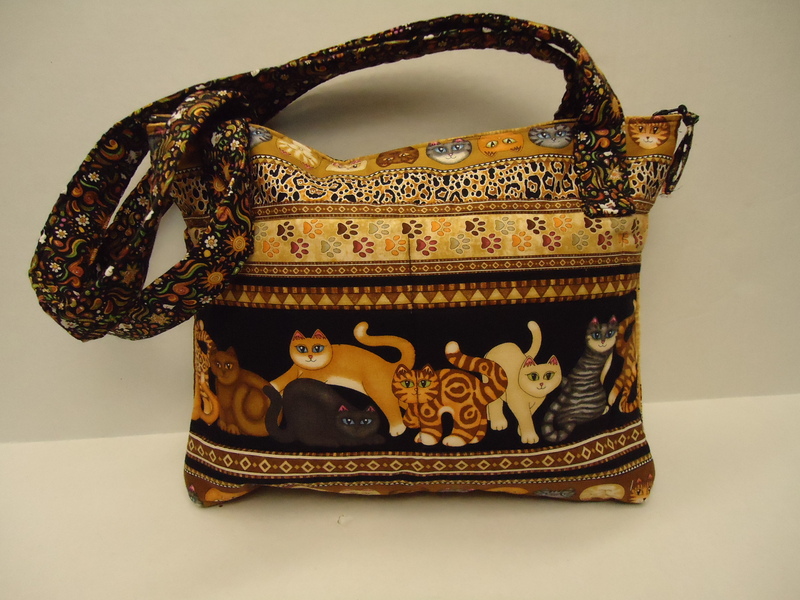 All purses are machine washable and dryable (remove contents first). Cold water wash recommended. 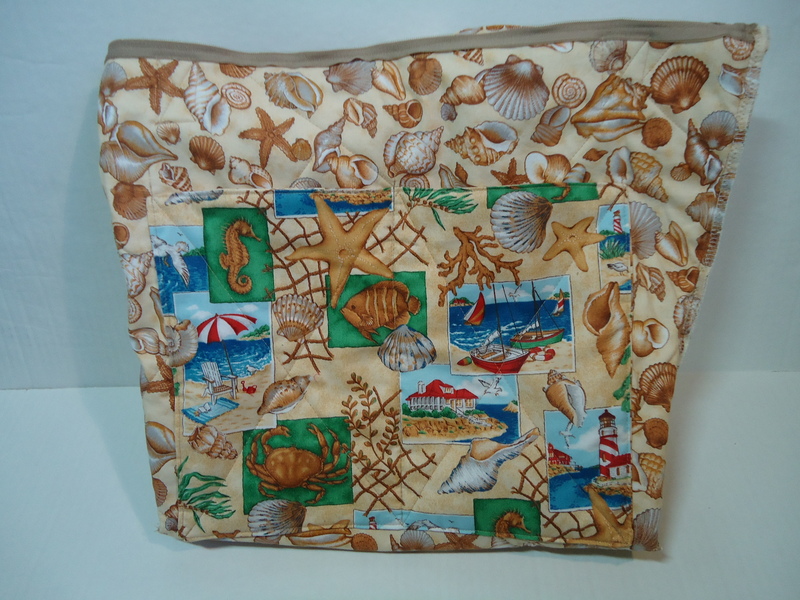 Toby's quilted tote bags come in three sizes - children's, regular, and large/beach bag. 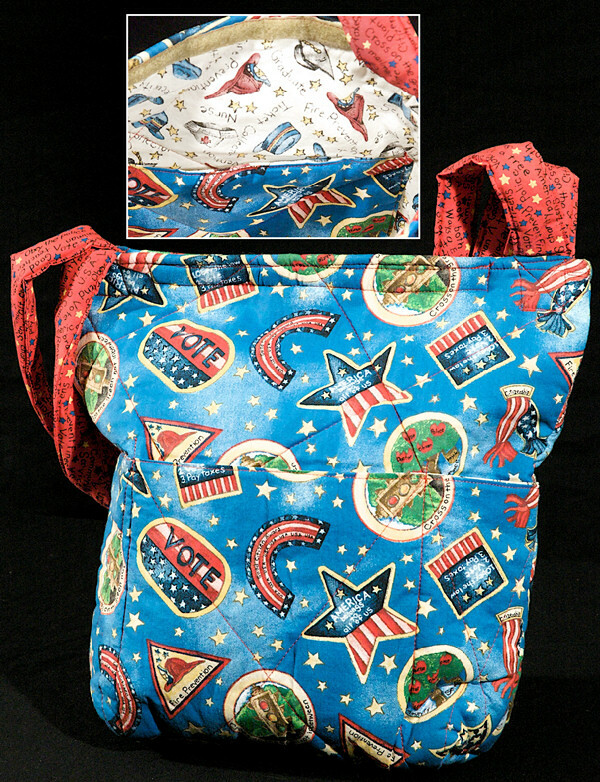 The totes have a velcro or zipper closure at the top, and both the outside and the coordinating lining are 100% cotton. The middle layer is a polyester fleece. The double shoulder straps on all totes also have three layers for extra reinforcement. The regular and large sizes have three outside pockets (the middle one for larger items such as water bottles and the other two for such items as sunglasses or keys). There is one inside pocket for the regular size and two for the large size. The children's tote has a single inside pocket, and is a good size for carrying coloring books, crayons, small toys, a change of clothing, etc. All tote bags are machine washable (cold water recommended) and dryable. 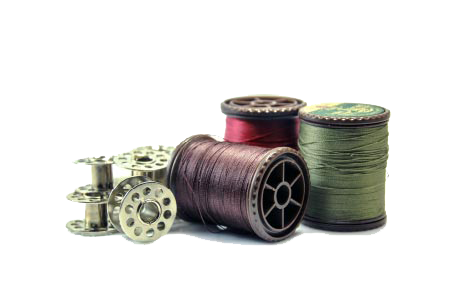 Custom orders are welcome and can be made with reasonable variations.